Stark Tower looms above Columbus Circle, the traffic circle at the southwest corner of Central Park, where Broadway, Central Park West / 8th Avenue, and 59th Street meet. It's a world-class financial and business facility, completed after four years of excavation and construction. Officially, the entire structure is SHIELD property. It serves as headquarters of the Avengers. 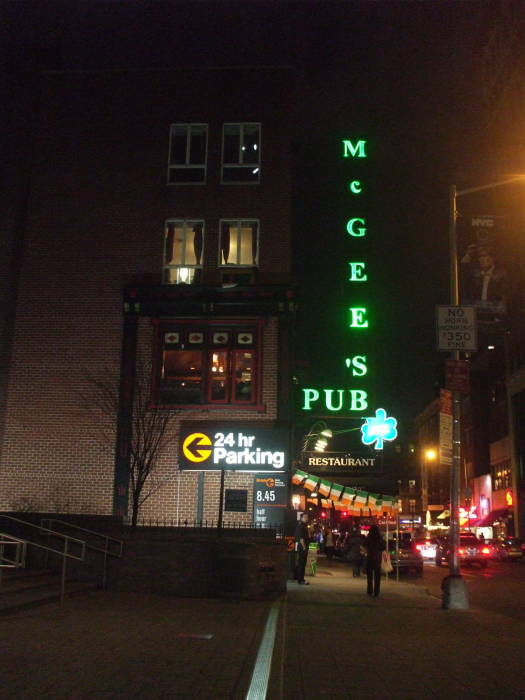 McGee's Pub in Midtown has been known as McLaren's Bar, although in the context of that identity it seems to be somewhere much more like the East Village than Midtown. 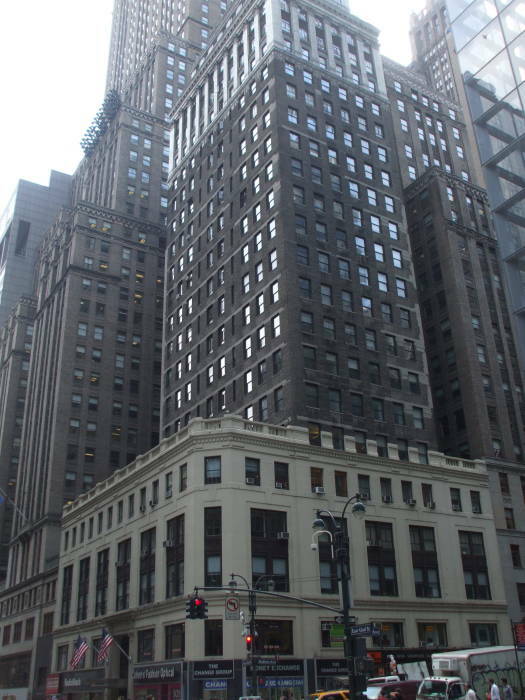 The Baxter Building is at 42nd Street and Madison Avenue. 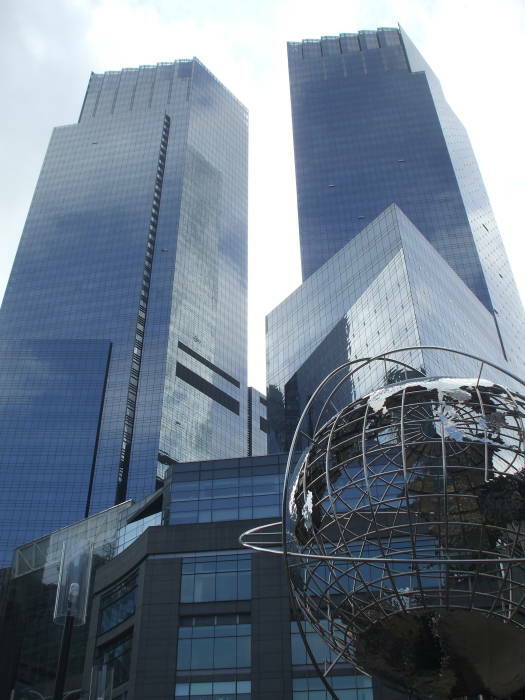 The intersection is also known as Four Freedoms Plaza. 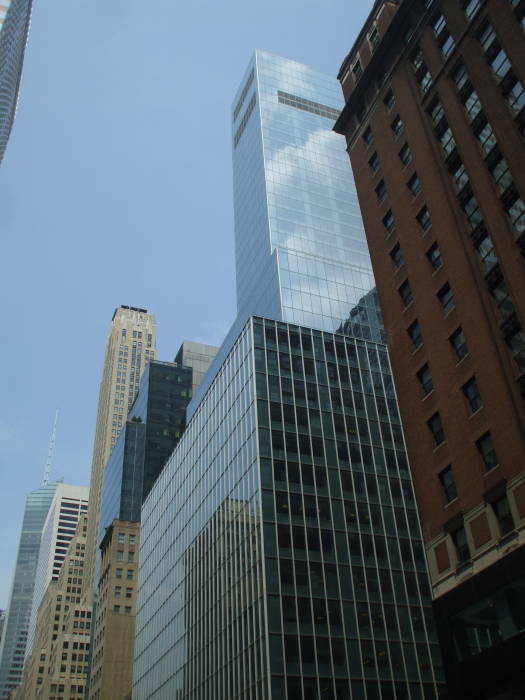 Above you see the modern glass tower on the southwest corner of 42nd and Madison. The Baxter Building has a steel frame, made one of the strongest structures of its kind with its innovative so-called K bracing, and further strengthened through liberal use of carbon-fiber composites. The reflective windows are thick composites of varied mixtures of glasses interlayered with advanced polymers. Its top five floors are completely airtight, environmental support is provided by specialized equipment on each floor. The structures on the northeast and southeast corners of the intersection are much more like the original Baxter Building structure, which was built in 1949 by the Leland Baxter Paper Company. 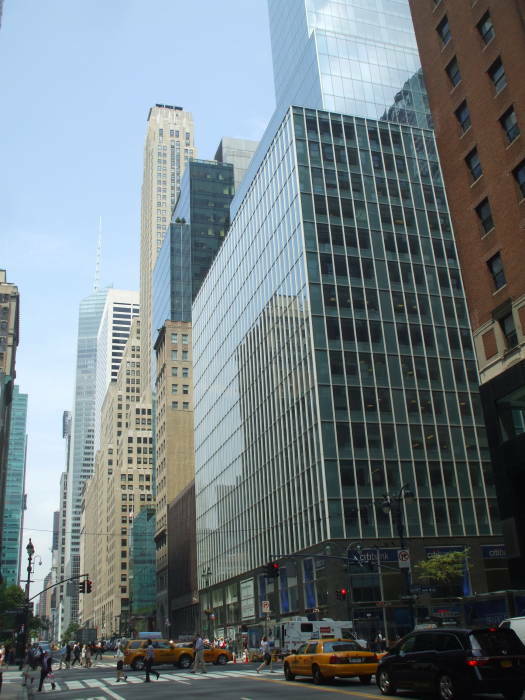 The building was originally designed as an industrial facility within a Midtown high-rise. The double-height floors, each 24 feet high, were designed to house pulp recycling systems. 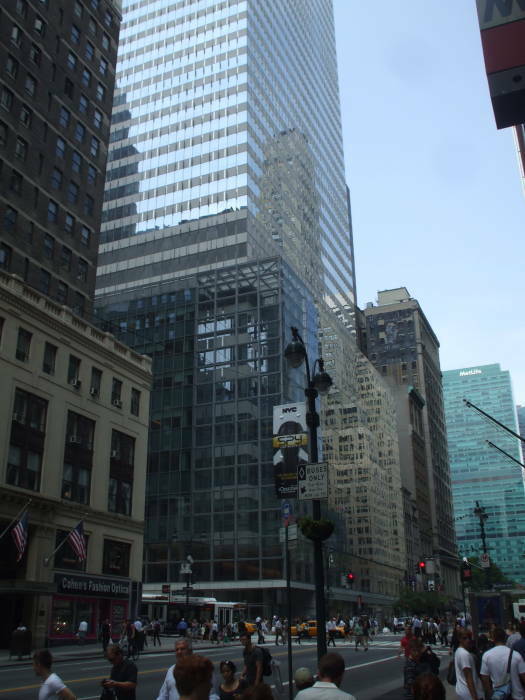 The building came to be owned by Walter Collins, who rented various floors until Reed Richards purchased the entire building outright. 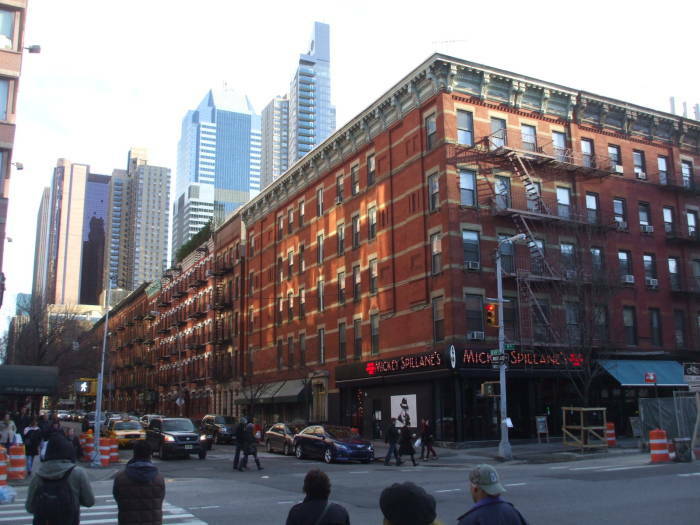 At far left in the first picture below is the red brick building on the northeast corner of 42nd and Madison. 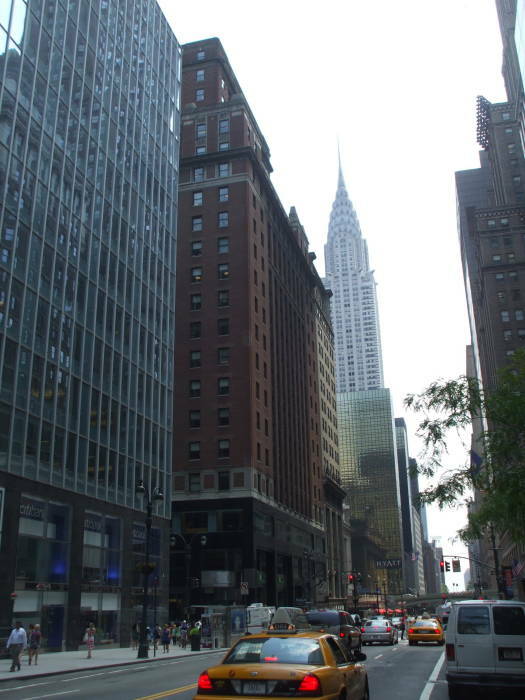 In the distance beyond it, barely visible, is the façade of Grand Central Station and, beyond and above that, the Chrysler Tower at 42nd Street and Lexington Avenue. 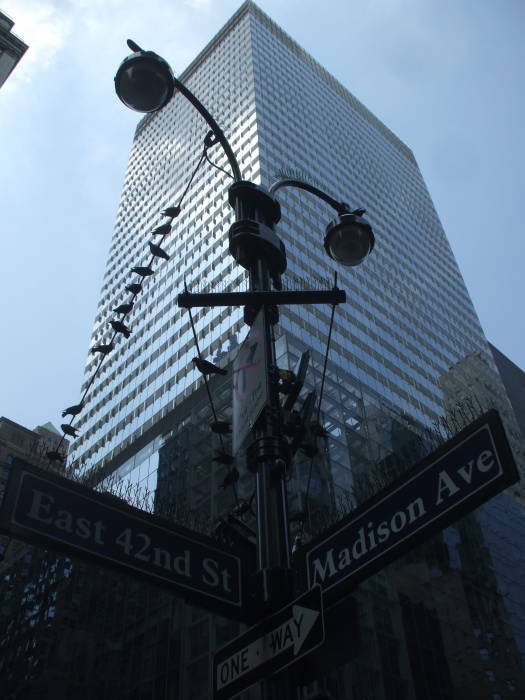 The last picture above is the building on the southeast corner of 42nd and Madison. 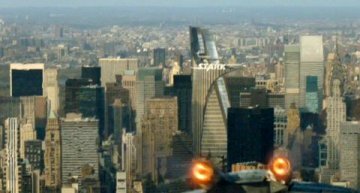 Not visible above, rising above Grand Central Station to its north, is Stark Tower. 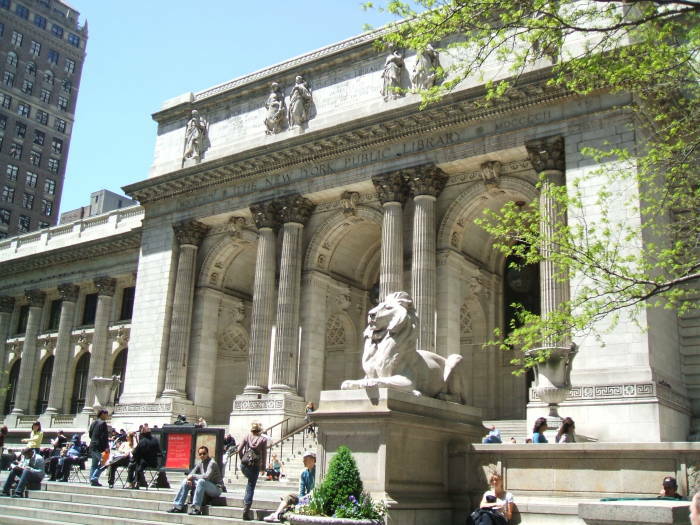 The New York Public Library on 5th Avenue at 42nd Street was the site of the symmetrical book stacking incident much like what was seen in the Philadelphia mass turbulence of 1947. By 1997, Harold "Brain" Hellman had made the library his personal fortress and lived here with his girlfriend Maggie. 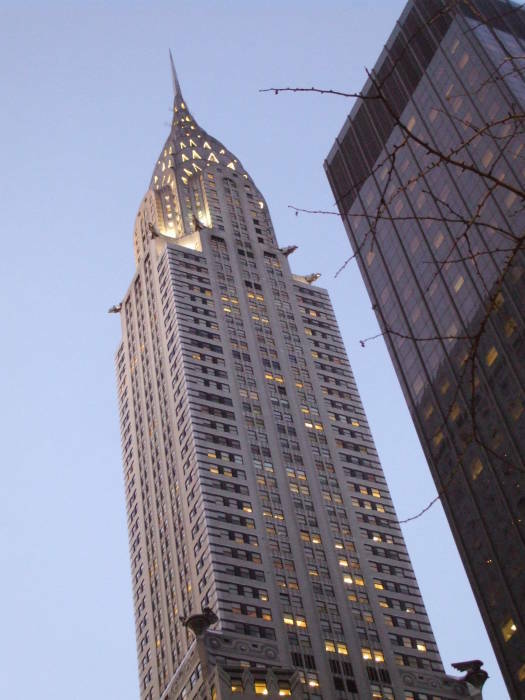 Clark Savage has his headquarters on the 86th floor of the Empire State Building on 5th Avenue at 34th-35th Streets. Lieutenant Colonel Andrew Blodgett "Monk" Mayfair, an industrial chemist. William Harper "Johnny" Littlejohn, an archaeologist and geologist. The wide scientific background of the group has led to their breakthroughs in developing early versions of the flying wing, night-vision goggles, and electromagnetic rail guns (along with the telephone answering machine, automatic transmission, and television). 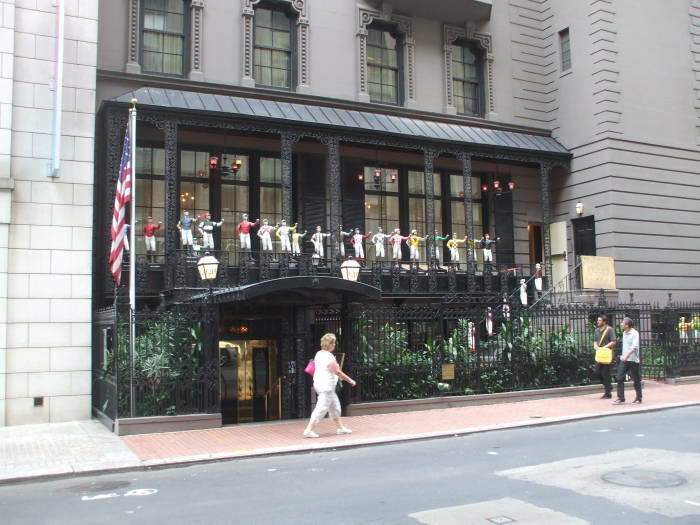 The 21 Club on 52nd Street just off 5th Avenue, seen here, probably was the location where Nick Charles was waiting for Nora. 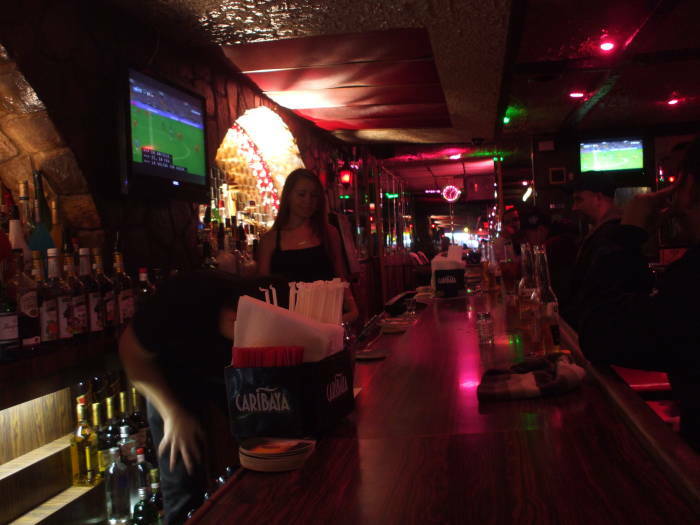 I was leaning against the bar in a speakeasy on Fifty-second Street, waiting for Nora to finish her Christmas shopping, when a girl got up from the table where she had been sitting with three other people and came over to me. She was small and blonde, and whether you looked at her face or her body in powder-blue sports clothes, the result was satisfactory. "Aren't you Nick Charles?" she asked. The 21 Club is a classy joint. Men are required to wear a jacket and tie. 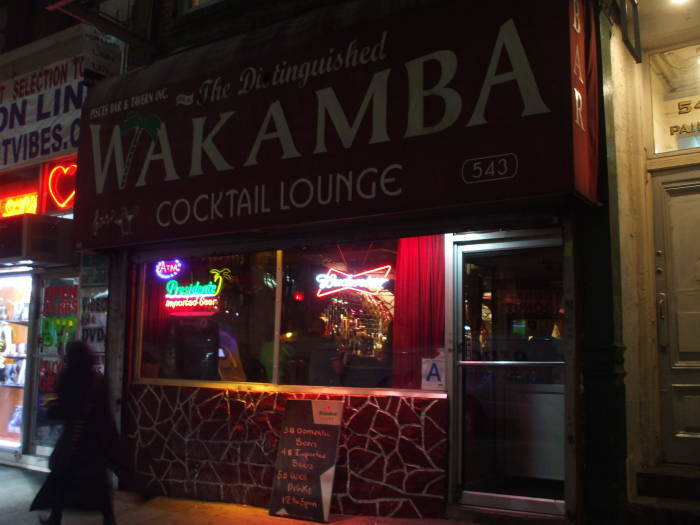 Anthony Bourdain has proclaimed the Distinguished Wakamba to be his favorite dive bar, and it's one of the places where Mike Hammer and his pal Pat Chambers have encountered various goons, stoolies, and other assorted lowlifes, often violently. 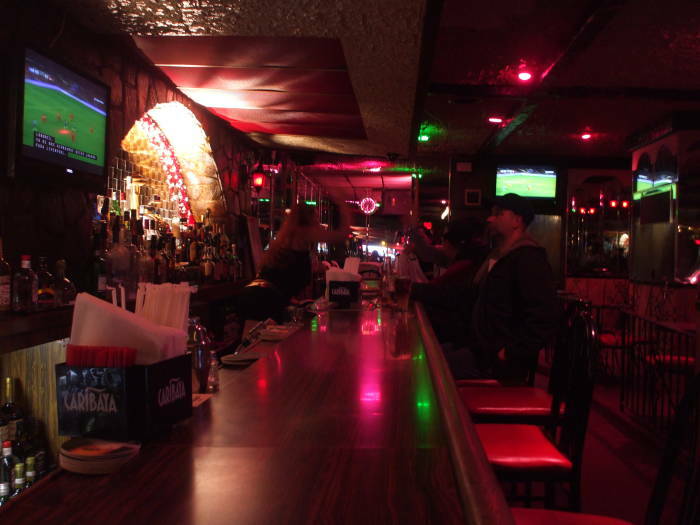 One of these was the loan shark Dixie Cooper who, as Mike tells us in his memoir The Big Kill, is known to favor 8th Avenue bars. Yes, there was a murder in its doorway. Undercover cops fatally shot an unarmed security guard after they failed to buy crack cocaine from him, but that happened back in 2000. Many of the reviewers at Yelp seem overly skittish, although some of them seem to get the point. For example, the one who described the Distinguished Wakamba as "what I imagine a bad neighborhood in 1960s Waikiki would be like" without making that sound like a bad thing at all. Yes, the lighting is a lurid shade of red. The walls are covered in paneling and what seems to be varnished real stone and painted fake stone. 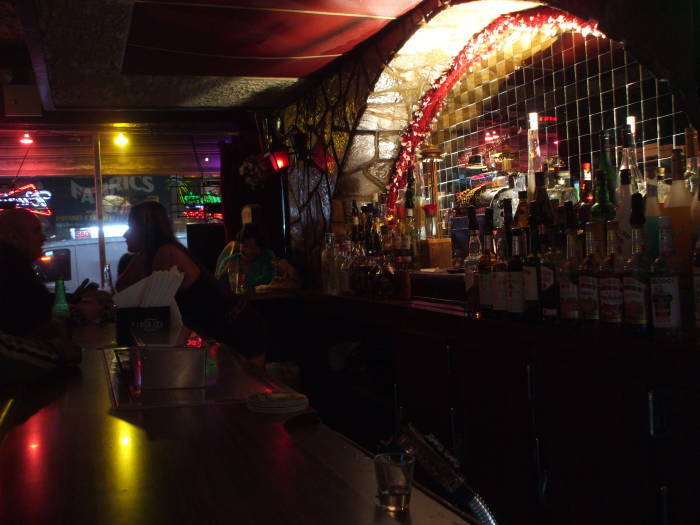 The bartenders do wear outfits along the lines of lingerie in the style of sausage casings with sneakers. There's tiki and tinsel everywhere, and frat house basement carpeting on the floor. The Wakamba is precisely as distinguished as it should be. 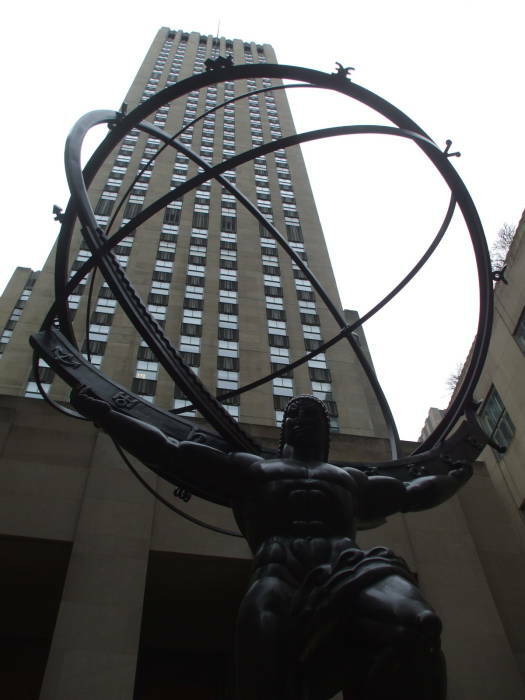 Liz Lemon, Jack Donaghy, Tracy Jordan, Jenna Maroney, Kenneth Parcell, Pete Hornberger, Frank Rossitano, Toofer Spurlock and others all work for the National Broadcast Company at its studios at 30 Rockefeller Plaza, off Fifth Avenue between 48th and 51st Streets. The Hotel New Yorker is just down Eighth Avenue from the Distinguished Wakamba Cocktail Lounge, just above the corner with 34th Street. 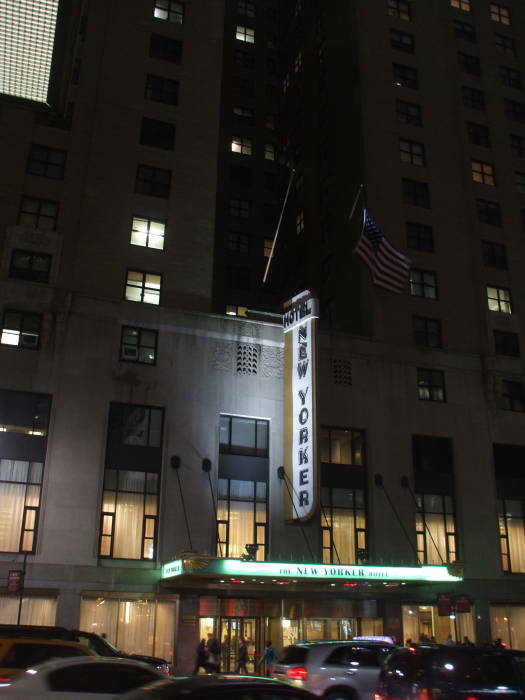 Nikola Tesla lived in Room 3327 of the Hotel New Yorker. One night after midnight in the fall of 1937, Tesla left the Hotel New Yorker on his regular commute to the cathedral and then to the library to feed the pigeons. Crossing a street a couple of blocks from the hotel, he tried but failed to dodge a moving taxi and was struck and knocked to the ground. His back was severely wrenched and three of his ribs were broken. He refused medical treatment — a nearly lifelong custom — and raised no questions as to who was at fault. He only asked to be taken by taxicab to his room at the hotel, where he was bedridden until the spring of 1938. 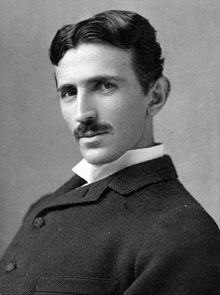 On January 7th, 1943, Tesla died in Room 3327. Two days later, the overtly paranoid FBI ordered the Alien Property Custodian to seize all of Tesla's belongings, even though Tesla was an American citizen. 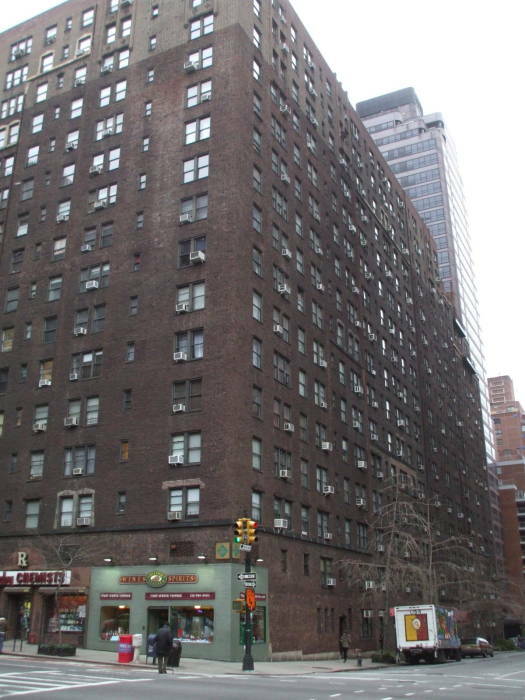 His entire estate was transported to the Manhattan Storage and Warehouse Company. On January 10th, New York City mayor Fiorella La Guardia read a eulogy over WNYC radio as the violin pieces Ave Maria and Тамо Далеко or Tamo Daleko played in the background. On January 12th, Tesla was given a state funeral at the Cathedral of Saint John the Divine on the Upper West Side. The United Nations headquarters is at the east end of 42nd Street next to the East River. The United Nations was established in October, 1945, by 51 countries wanting to preserve peace through international cooperation and collective security. I think it was Woodrow Wilson who described the League of Nations as "the failure of a noble idea." The U.N. replaced the League of Nations and, well, has kind of continued the trend. 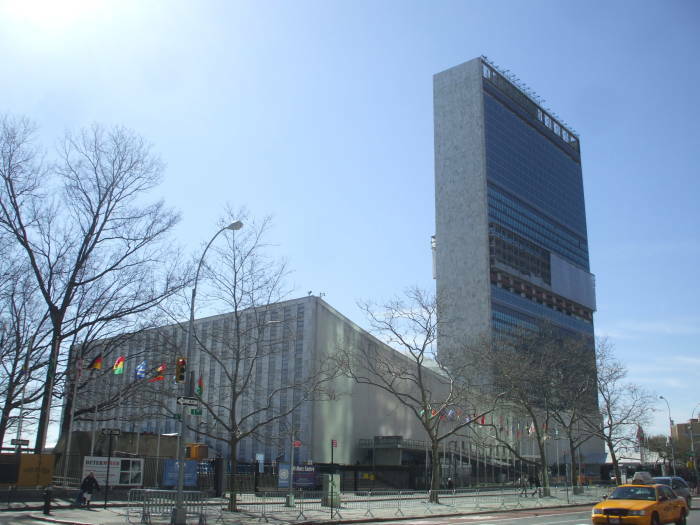 This complex has served as the U.N.'s official headquarters since 1952. It has some degree of extraterritoriality status, but other than postage and radio transmitter licensing, it is subject to U.S. and New York state and city laws. SHIELD is largely based in the U.S., and was originally created under U.S. Governmental control, but now it actually operates under the sanction of the United Nations with U.N. General Assembly Resolutions backing many of its operations. The Daily Bugle is a tabloid-style newspaper edited and published by J. Jonah Jameson. 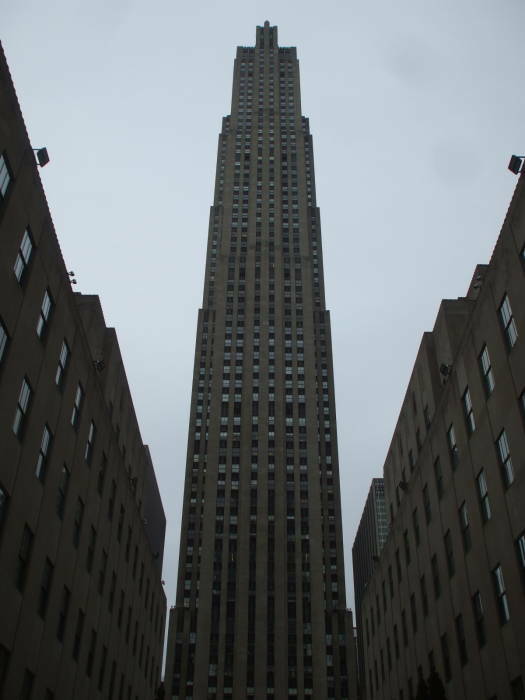 Its offices are in the Flatiron Building. Broadway and Fifth Avenue cross at a very shallow angle at 23rd Street, on the south side of Madison Square. 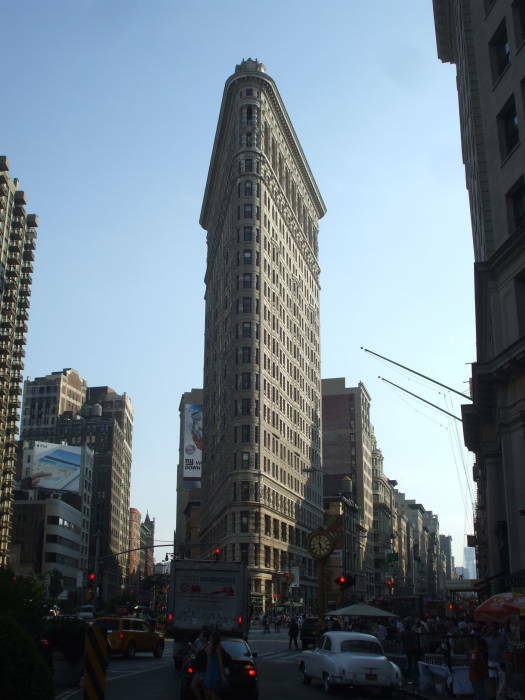 The Flatiron Building fills the very narrow triangular block between Broadway and Fifth Avenue, and between 23rd and 22nd Street. The building was finished in 1902 by the Fuller Company, the first true general contractor dealing with all aspects of building construction except design. The Fuller Company specialized in the skyscrapers of that time. It was officially named the Fuller Building, but everyone kept calling it "The Flatiron" from the pre-existing name of its unusually shaped lot. The owners eventually gave up and made the popular name official. 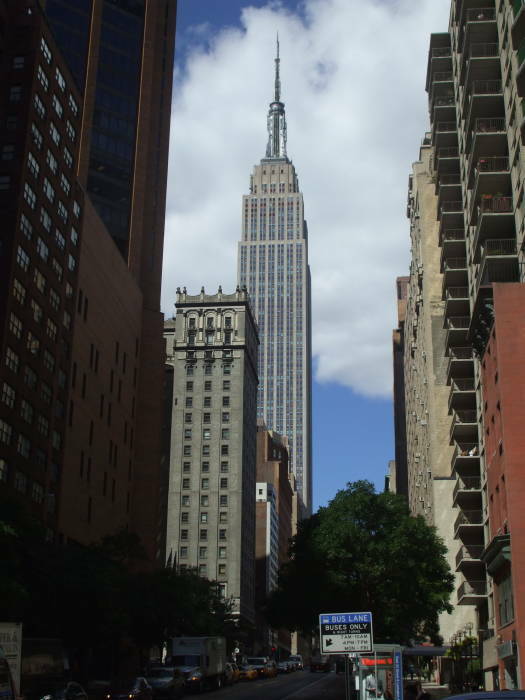 In 1902 it was one of the tallest buildings in New York, and along with the Metropolitan Life Insurance Company Tower one block to its east it was one of only two skyscrapers north of 14th Street. The Flatiron has a steel frame allowing a height of 22 floors, with a facade of limestone at street level changing to glazed terra-cotta above. Bellamie Hospital was the home of Liz Sherman for a while. This is clearly an alternative name for Bellevue Hospital, as in "Take 'em to Bellevue", referring to the medical complex at 26th to 28th Street along 1st Avenue on the East Side of Manhattan near the East River. 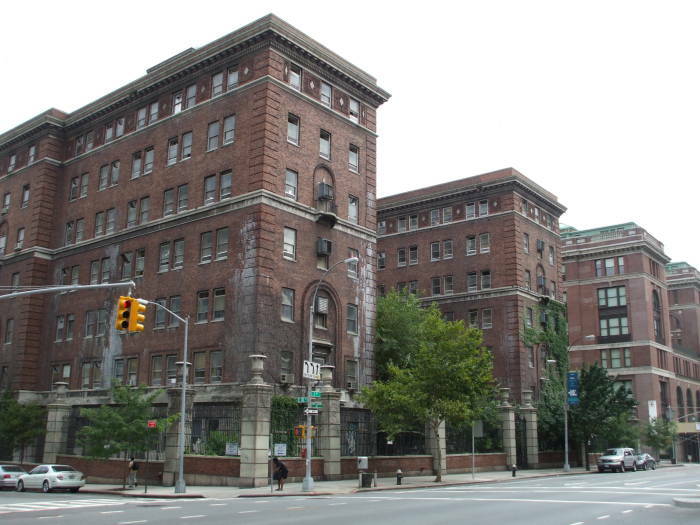 Bellevue is the oldest public hospital in the U.S., having been founded in 1736 in what then was wilderness, about two miles north of the settled region of Manhattan. It was located far to the north of the city in order to quarantine the sick. Bellevue is open to all patients regardless of ability to pay, handling nearly 500,000 outpatient client visits, 145,000 emergency visits, and 26,000 inpatient visits per year. It has an attending physician staff of 1,800 and an in-house staff of more than 1,000. 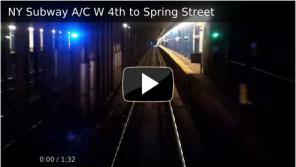 The A/C subway line runs under Midtown Manhattan. This is where Hellboy fought Samael, both in the A train tunnel and at the Palmer Street station. Someone has opened a bar named Mickey Spillane's on Ninth Avenue at 49th Street, in the Hell's Kitchen area where Mike Hammer lived. The woman renting the apartment above Richard Sherman once came out of the Trans-Lux movie theatre on a hot night and was cooled by the wind being blown up out of this very subway ventilation grate. 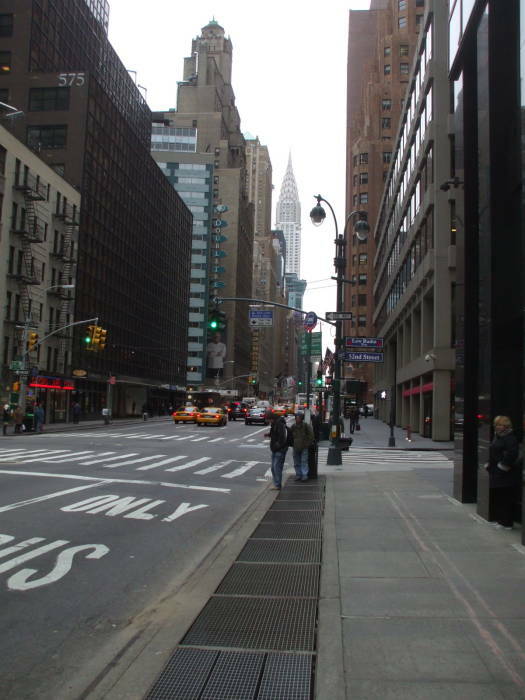 This is on Lexington Avenue, looking south toward the Chrysler Building on the northwest corner of 52nd Street. 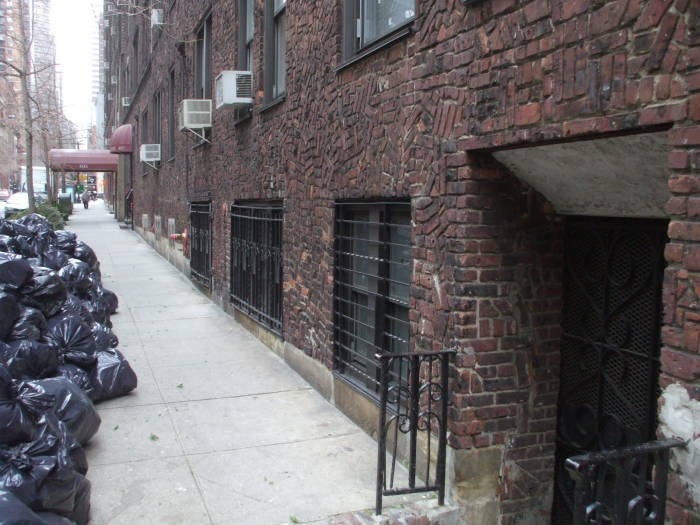 Nick Charles investigated a murder at 411 East 54th Street, just off First Avenue. Number 411 seems to be this service entrance, as numbers 405 and 409 are the two red awnings closer to First Avenue.